These high quality bronze Wind (or Feng) Gongs are hand made in Wuhan, China. 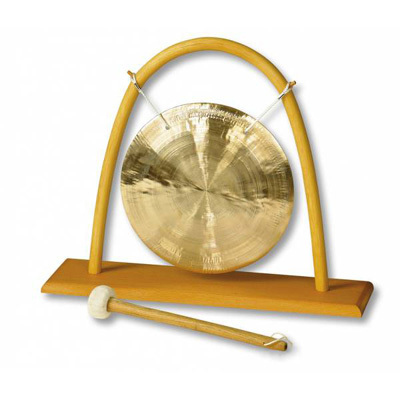 Traditionally, Wind Gongs are played with a large soft mallet and possess that authentic and true gong sound typified by brilliant shimmer and can be used to help focus meditation and in spiritual ceremonies. Supplied with rattan stand and soft mallet.